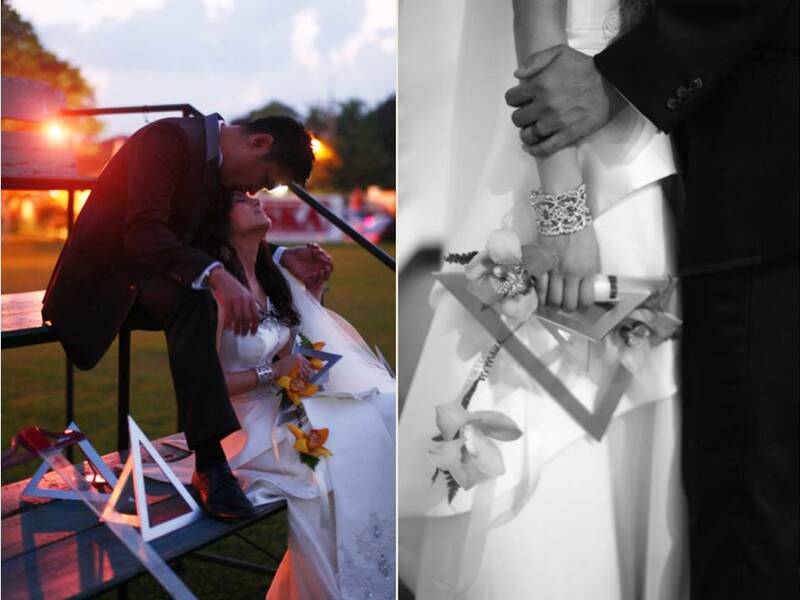 A couple of months ago, we created a teaser out of Nikki & Jason Buensalido's 11-11-11 wedding. 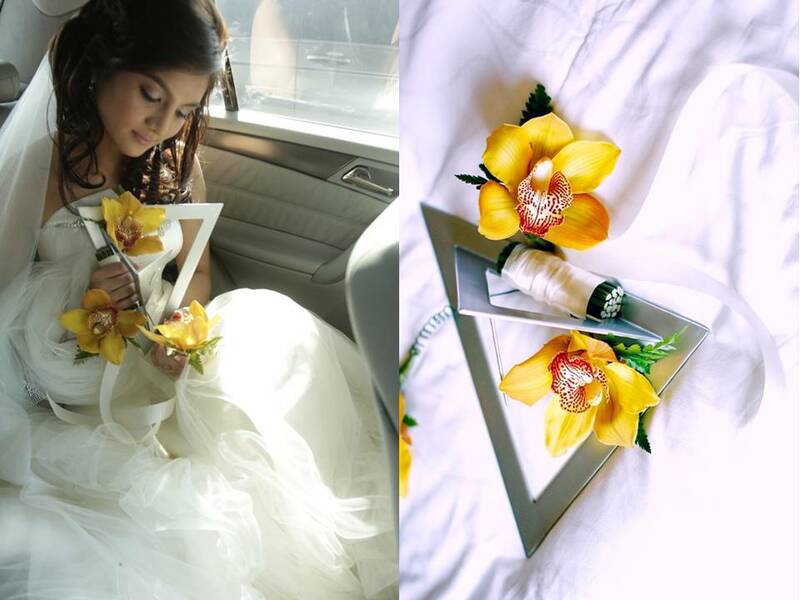 Now, we are excited to share with you, what seems to be one of the most rebelliously innovative bouquets we have seen to-date. Read on to see what Nikki has to say about her "Triangle Bouquet"
What makes Nikki's bouquet so awesome apart from the perfect mix of tradition and innovation is the fact that it is not just about having a creative bouquet per se--it's really about how she and her groom are both architects in the ranks of the freshest breeds of Filipino talents that are making waves in the industry. In other words, the bouquet speaks volumes of both the bride AND the groom. What's even cooler about the triangle idea is that the couple is also incorporating it in their new home which is also being finalized to have triangle details/installations. Such a beautiful and rebellious bride (and groom) with such a unique eye for detail.